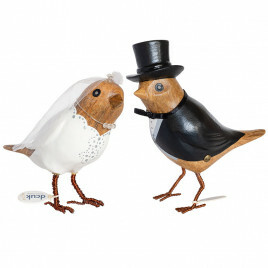 If you’re looking to surprise a happy couple with a wedding present like no other, then our Wedding Gifts collection is for you. 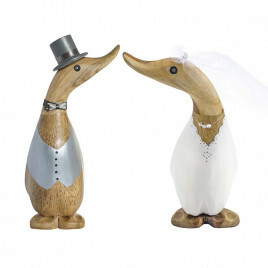 Our wedding day ducks are handcrafted and painted, kitted out in their own tiny waistcoats and veils, and are even available as wedding cake toppers. Personalise your chosen designs by naming the bride and groom, and enjoy the satisfaction of giving a present that you know is totally bespoke, unique and bound to make an impression with its dash of originality and cuteness.